If you’re looking for some togetherness relaxation, discover one of the city’s luxurious spas. Slip into a soft Ten Spa robe and treat yourselves to a head-to-toe clay wrap, or the spa’s signature hamam experience – an ancient hot air bathing ritual. Riverstone Spa’s couples massage will let you enjoy quality time together while you free your muscles of tension. Add on the spa’s hot stones, and let the warm volcanic basalt and cool jade ease your body and mind. At the Urban Oasis Mineral Spa, exit the couples massage room and head to the mineral pool for further therapeutic benefits. 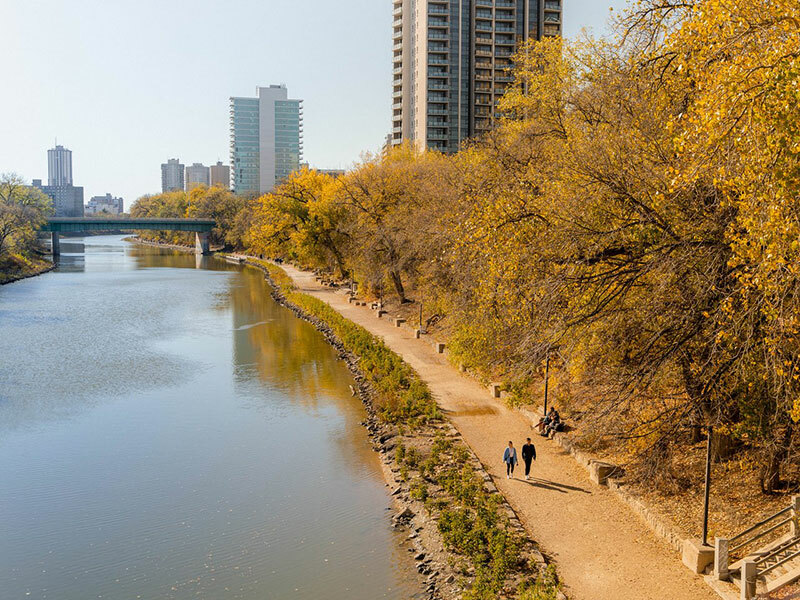 Under the summer sun, trek down the riverwalk for a distinct view of central Winnipeg. 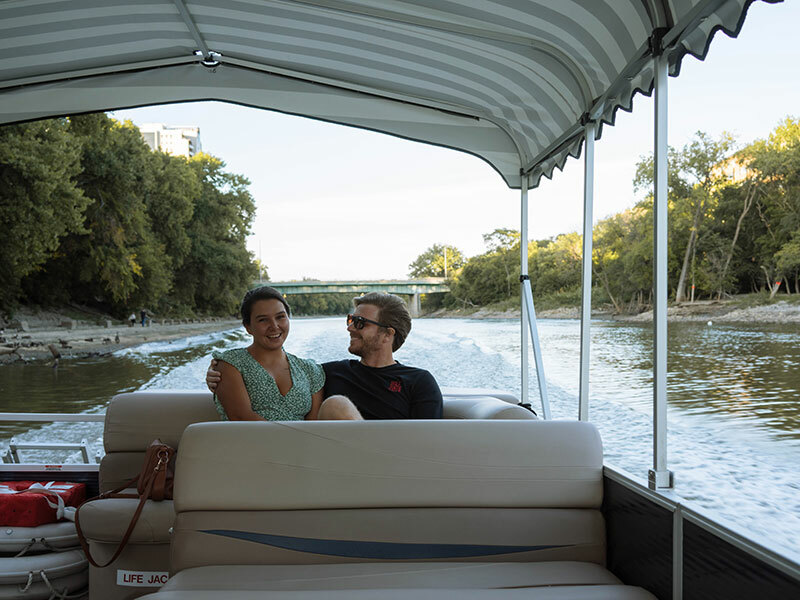 Start at the foot of the Manitoba Legislature and follow the winding river’s edge, past The Forks, until you end at the iconic bridge - Esplanade Riel. In the winter, the same waters freeze over to become the Red River Mutual Trail. Bring your skates (or rent a pair from The Forks) and glide along one of the longest naturally frozen skating trails in the world, stopping to explore the unique warming huts dotted along the way. 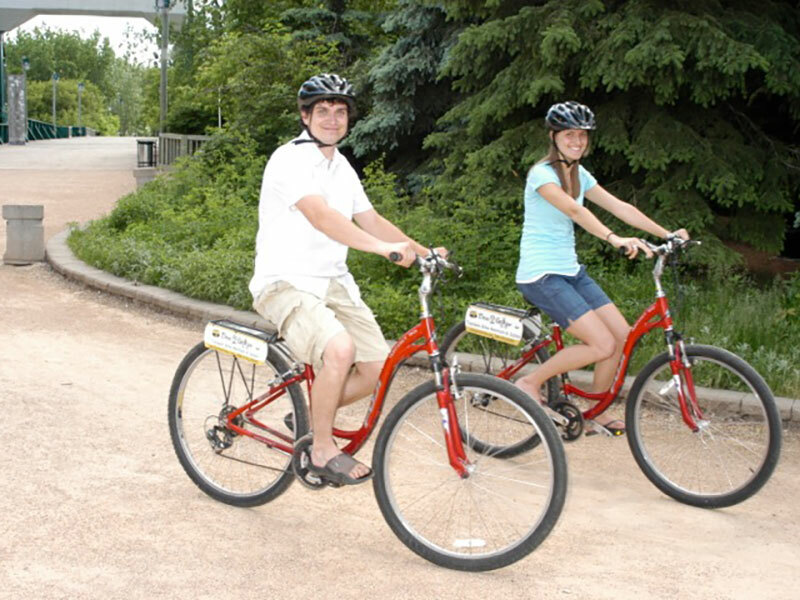 Spend a day on a bicycle built for two – a unique way to explore Winnipeg’s neighbourhoods. 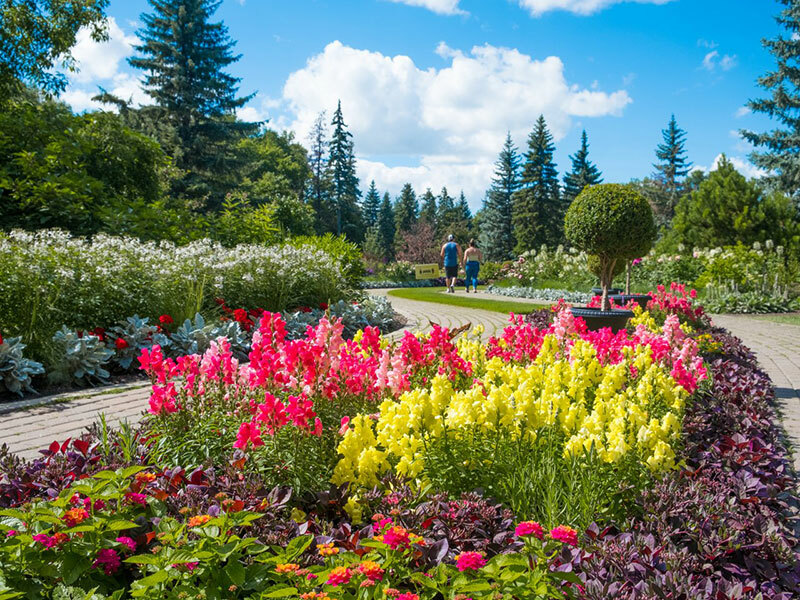 With rental locations at opposite ends of the city, you can peddle through the tree-lined paths of Assiniboine Park, down to the stately homes of Wellington Crescent and back. Pass by the Manitoba Goldeyes’ baseball diamond, take a break at Stephen Juba Park on the waterfront, and continue to the Alexander Boat Docks. You can even stop for some gelato on Corydon Avenue on the bike rental’s more urban route offerings. 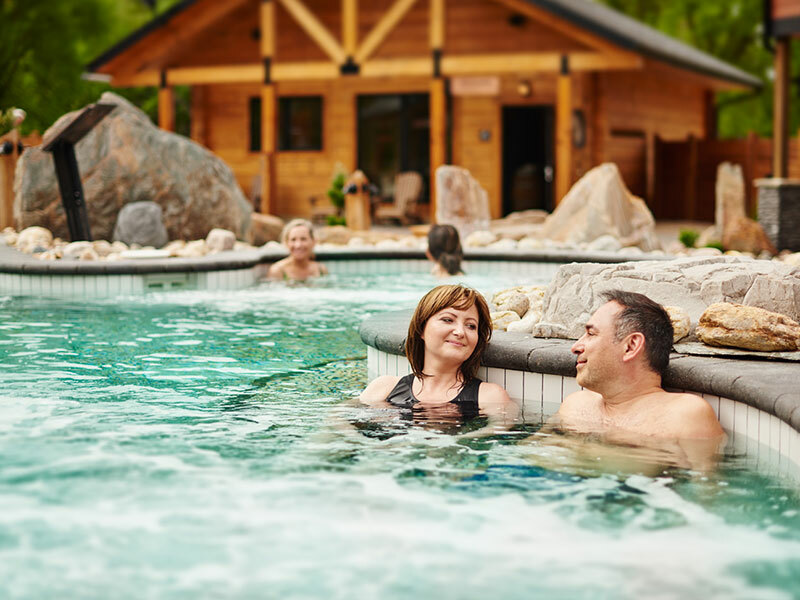 Take time to catch up with each other at a Scandinavian-style thermal spa. Make yourself comfortable in the Borëa section, the whisper-friendly zone, and prepare yourselves for the Aufguss ritual - a mixture of music, essential oils, and relaxation in the Finlandia sauna. Once blissed out, head to the wooden pavilions for a duo Massana-Nature, a massage set amongst the soothing sounds and scents of nature. Complete the day with a soak in the outside thermal pools and, if you dare, walk under Icebër, the chilling waterfall that will rejuvenate your body and senses. Since Winnipeg summer days are long, grab a warm weather date night while you can. The French vibes of Inferno’s Bistro will have you feeling romantic; great views of the Exchange District are to be had on Peasant Cookery’s streetside patio; and rub shoulders with the trendiest locals at Langside Grocery’s summer-essential patio. Couples looking for a quieter venue will enjoy the river views from Cibo’s waterfront setting, or The Roost’s rooftop patio on the Corydon strip. There’s no shortage of one-of-a-kind venues and shows in Winnipeg. Marvel at the intricate steps and stunning sets of the Royal Winnipeg Ballet, one of the oldest ballet companies in the world; tap your toes, and maybe even sing along, to the musical performances at Rainbow Stage, Canada’s largest outdoor theatre; and get fully engrossed in the intimate theatre experience at Prairie Theatre Exchange. Delve deeper into the stories told at the Royal Manitoba Theatre Centre by joining the pre-show chats, or wait for the actors to return to the stage post-performance to take audience questions at select shows. In a night to remember, the Mariaggi takes you around the world, right from Winnipeg. The detailed décor in every room is authentic to the country you choose. 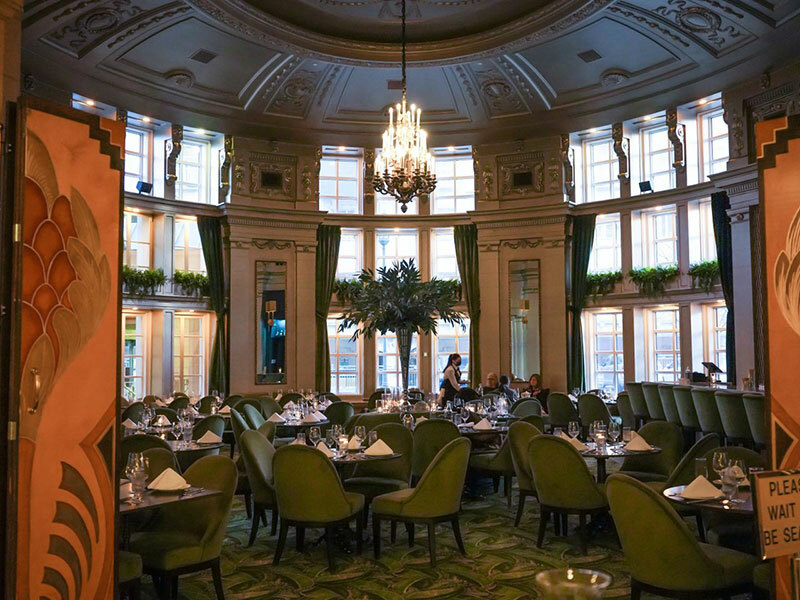 The boisterous colours and vibrant art in the Cuba room might make you want to salsa, while the African experience, with stone walls and animal-print skins, convey a more exotic vibe. 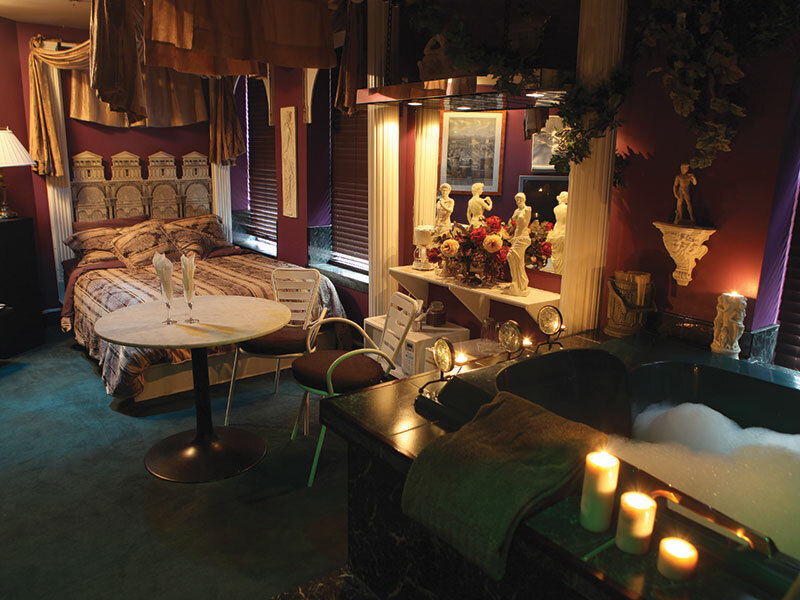 Sink into the two-person hot tub under the horseshoe arch in the Morocco room, or tinkle the ivories in the grand Jakarta penthouse. This once-a-year date option offers a dreamscape, as you wander through the ethereal lights, sights, and sounds of Nuit Blanche. With activities and sights across three city neighbourhoods, you’ll engage with innovative art installations, be invited into some of Winnipeg’s contemporary art studios, and get a chance to mingle with other sleepless night seekers who will share with you the event’s hidden gems that might be tucked down an alley or upstairs in a loft. Take your romance to new heights with a helicopter tour. 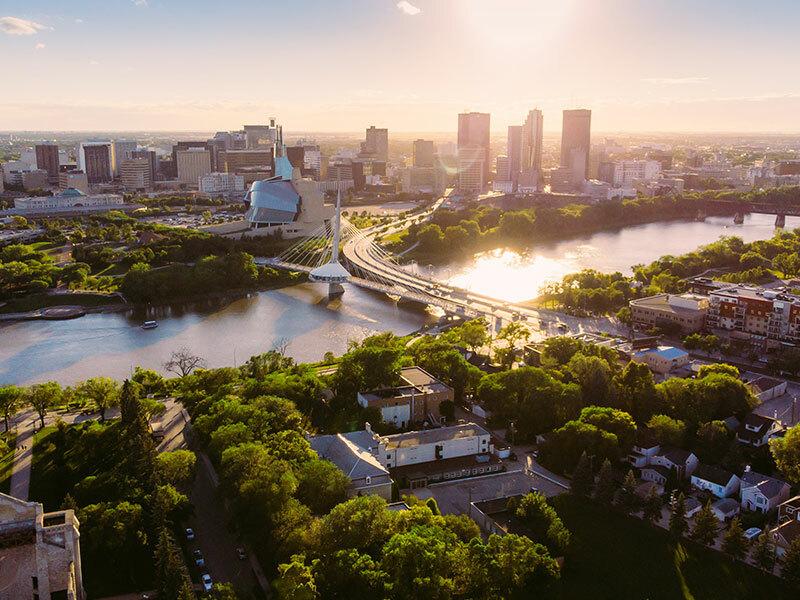 You’ll experience exhilarating views of downtown Winnipeg and gain a new perspective on recognizable structures, such as the Canadian Museum for Human Rights and the Esplanade Riel from a four-passenger Bell 206 Jet Ranger Helicopter. Additionally, some of the best change in fall foliage colour can be seen from this unique and thrilling vantage point.